I have amazing memories of the Christmas season. My feelings of anticipation are colored by the warmth it pours into my soul every year. The giving, the celebration, traditions and making memories are always things I look forward to when Christmas rolls around. Adding to the joy, I became engaged to the Coffee Guy (at that time the FedEx® Man) on Christmas Eve and three years later gave birth to my Ray of Sunshine the day after Christmas not to mention the Princess was brought home from her birth state in December as well. Those things will still bring joy this year though at times it is muted by the pain of this being the first Christmas without my mother. 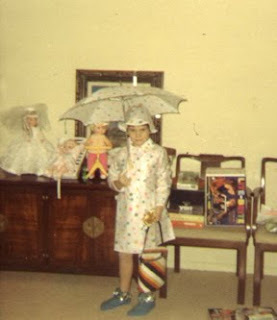 Even when she lived far away, there was the trip to Macy’s to see Marsha (the sweet sales clerk with years of experience) to pick out the right outfit. There will be no phone call or anticipated pictures from my Dad. Instead, this year, we will pick out a special ornament that represents her. We will think of some of the great gifts she made or found for each of us. Gladness will fill our hearts when we picture her first Christmas in Heaven and sadness will spill in tears down our cheeks when we face the empty void in our hearts. I am aware that I am not the first person to lose their Mom, nor do I believe it was the most tragic of losses. She lived a good long life and left a beautiful legacy. What I do know that it is our lives will never be the same. Christmas this year won’t be quite as vibrant and I need to keep reminding myself that little things will seem bigger. My emotions may seem unstable but its from a heart that is still healing. To my fellow bloggers who have experienced loss this year, I pray for God’s comfort to envelope us and for His peace to heal our wounded hearts.